The London based quartet A Popular History of Signs released two studio albums and several singles during the 80's. 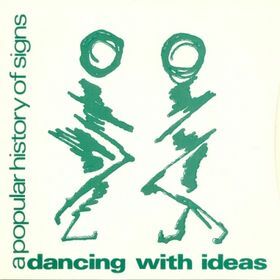 Certainly one of the outstanding tracks was their 1982 release "Dancing With Ideas" which was released as 7" single. It was backed by "The Traveller" and it was issued on Melodia Records in 1982. The music of the band was drifting between arty synth-dance and lightly played mood music.